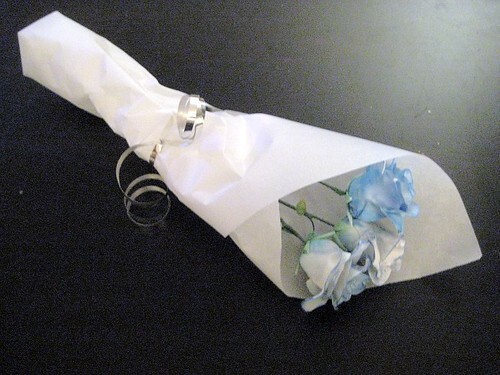 The blue rose signifies mystery and attaining the impossible. They are not found in nature, but after 13 years of research scientists were finally able to create a blue rose by cloning pigment genes from petunias, and adding it to a specific type of rose. 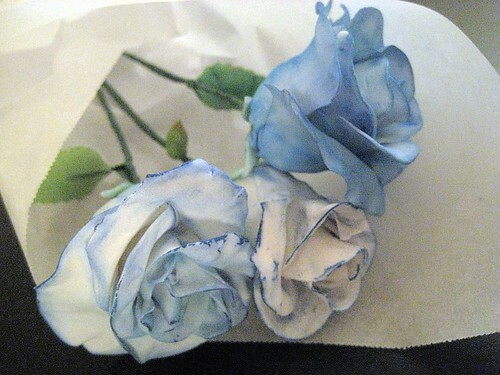 Funny that people spent thirteen years doing this, while I spent two evenings making blue roses out of gumpaste. To each his own, I suppose. You did a magnificent job! I’d trade every bouquet of red roses for just one of these…that is if I ever get red roses! E-mail me your address and I’ll happily mail you some gumpaste red roses! I could use the practice!